Total Tippins Takeover: five on friday…. with laney! five on friday…. with laney! 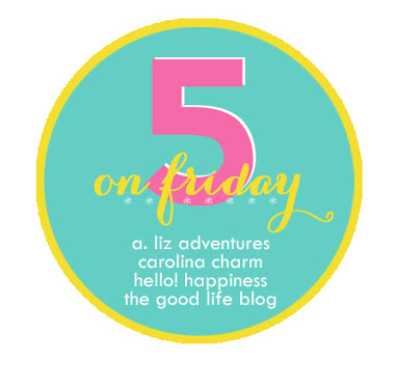 today's five on friday is full of some of my favorite moments with laney this past week. that girl is a riot and keeps us laughing all the time. jeffrey wore a georgia golf shirt to work the other day and when he walked in the door at the end of the day she said, "hi daddy! how was the georgia game?!" serious as all get out. when we were playing "sad, mad, glad" at supper the other night (each person says one thing that made them sad, mad, and glad that day) laney told us she "felt sad because no one took her to see the gym dogs" that day. ha! i guess she really enjoyed our georgia gymnastics experience. and finally, if you ask where we live she will very proudly tell you, "Georgia Game!" i got out some of the boxes of spring/summer clothes this week. 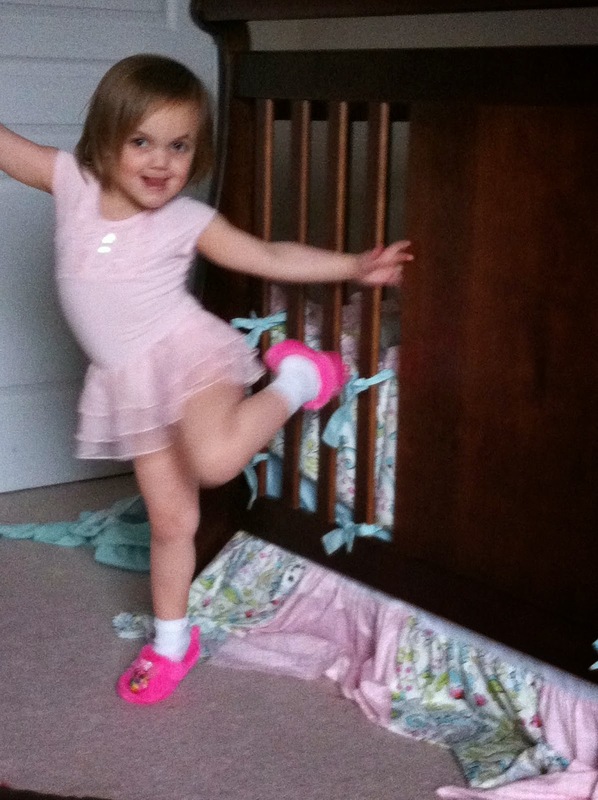 laney was trying on shoes and was thrilled to have so many new (to her) shoes to choose from. she is especially pleased with her "randals" as she calls them. and i just don't have the heart to correct her and tell her they're "Sandals." when laney says the blessing before supper you never really know what you're going to get. some days she's feeling the spirit move and will pray to her little heart's content. other days, she narrates the days events in the form of "prayer." one night this past week she was praying - after stopping repeatedly to remind everyone (especially libbi) to close their eyes, stop eating, and listen - and we had to try so hard not to laugh. 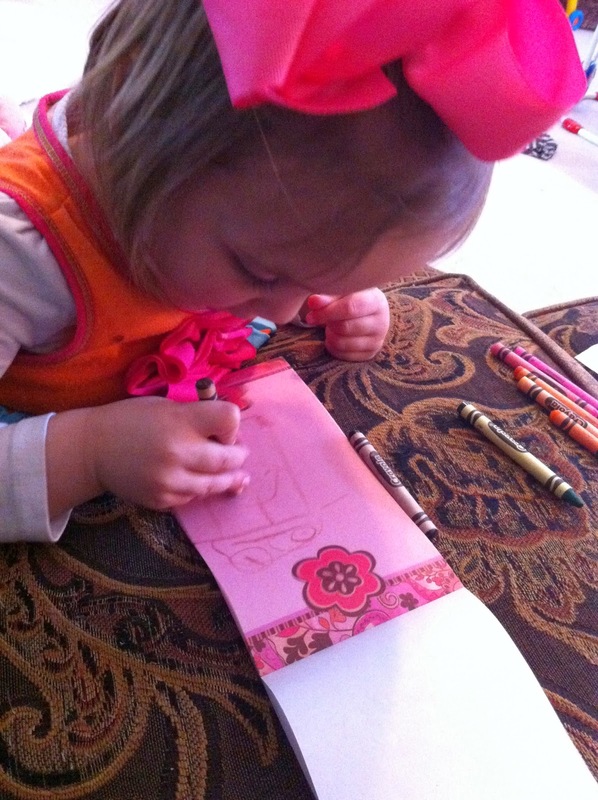 while she's busy telling libbi "don't eat!" she's simultaneously trying to pray and sneak a few bites of her own supper. this particular night she was praying, "thank you God for this day. thank you that I went to school today. please help libbi to close her eyes…" and then she dropped a big bite of yogurt on her placemat, but continued on in her prayer without missing a beat - "please help me to eat that bite. amen." finally, laney sleeps pretty much like she acts all day…. W-I-L-D! ha! unfortunately for us, she's been our little roommate for most of this week. 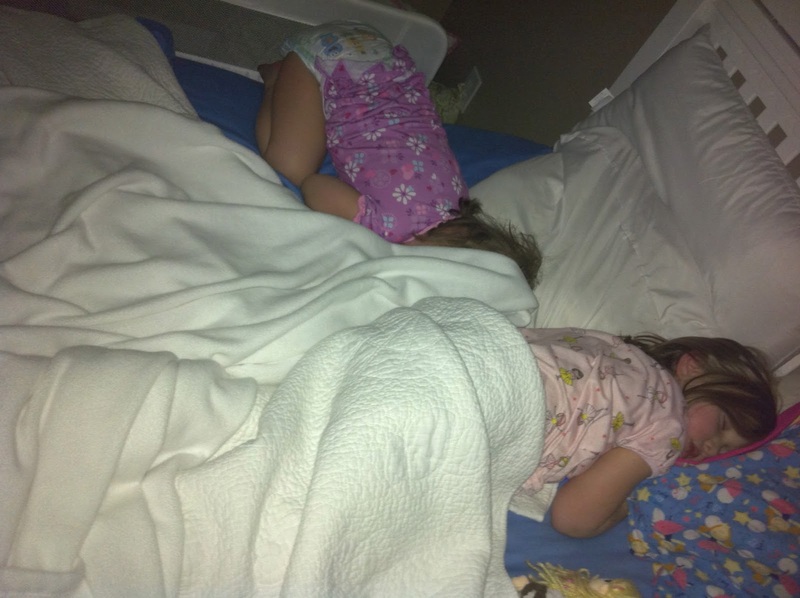 since she and libbi share a room we didn't want her bunking with libbi while libs had the stomach virus. so we reluctantly let laney sleep with us. laney was over the moon. as soon as we told her she would be sleeping in our bed, she immediately started yawning and acting like she was tired. it was only 6:30. now, imagine the letter H….each of the sides represent me and jeffrey, the middle represents laney. that is exactly how she likes to sleep. her head in jeffrey's side and her feet in my ribs. you can imagine how comfortable that is. so we did what any normal, sleep deprived parents would do: we moved her to the foot of our bed. we laughed and said it felt like she was our family dog. she'd burrow and circle at the foot of the bed until she found her "spot" and then she was out. sprawled out across the foot of the bed, happy as can be. oh, how we love that girl. hope y'all have had a great week! we have big plans this weekend. libbi and i are going to the ballet tomorrow. and on sunday, we are all celebrating jeffrey since it's his birthday! woohoo! 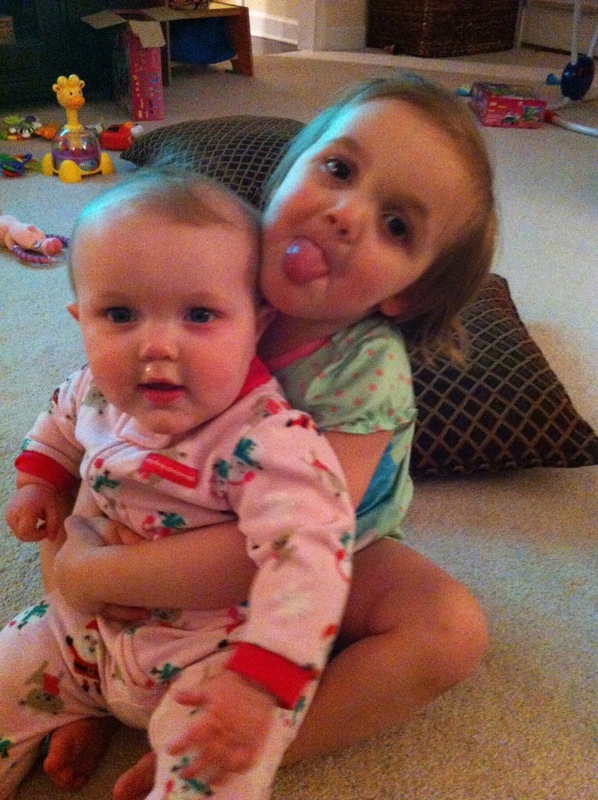 here's to a fun weekend with my three little ladies! TGIF, y'all!